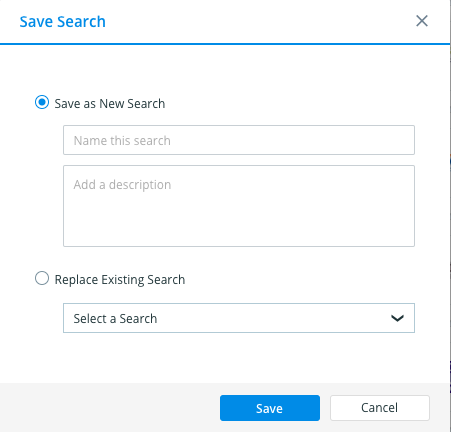 Saved Search allows you to save the search criteria used to build your list. If you are often searching using the same criteria, this will help you save time in your day. 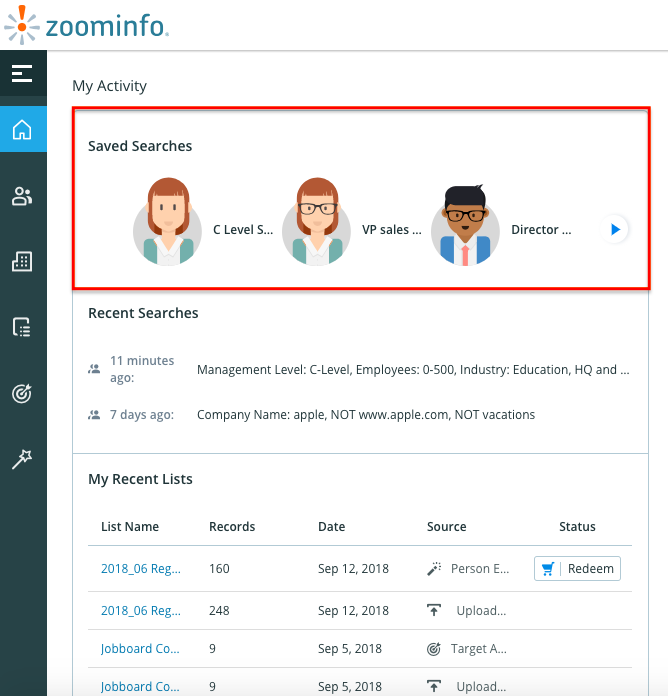 You can use this functionality in Contact Search, Company Search, Target Accounts, My Contacts, and My Companies. Note: saving searches does not save the search results just the search criteria that have been applied. Enter a name for the search and include an optional description. Select the 'Replace Existing Search' option and choose the saved search you want to replace using the drop down. 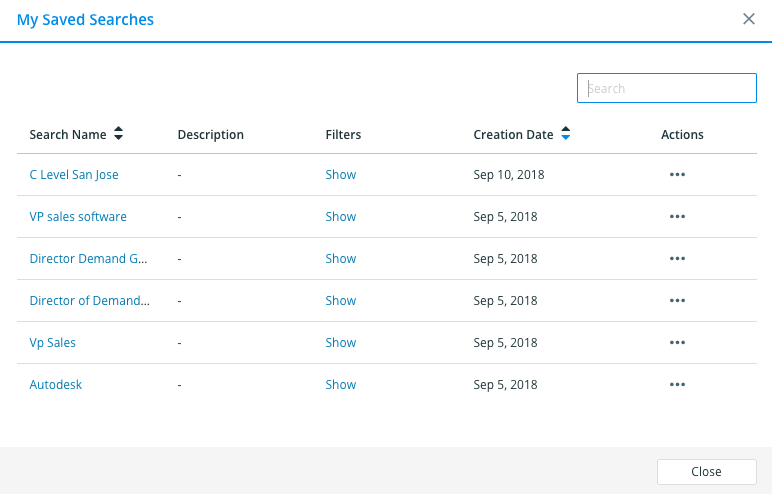 With our Stacked Search feature, you can build saved searches with different personas/filter sets and easily combine them into one export file. 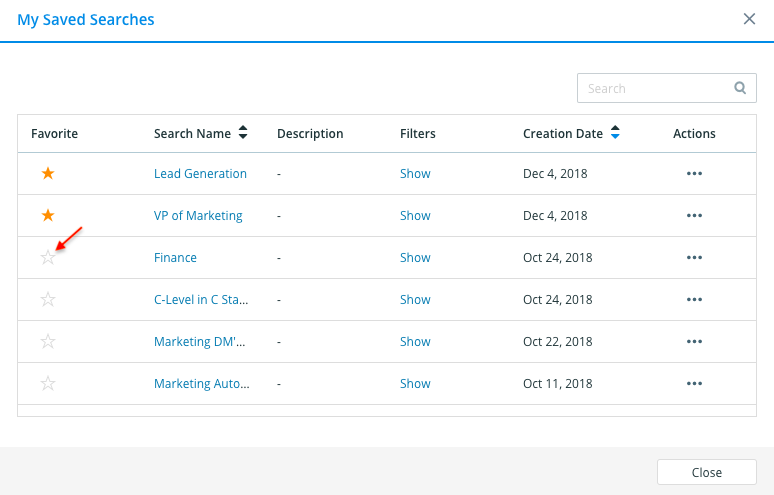 You can stack searches in Contact Search, Company Search, and Target Accounts. 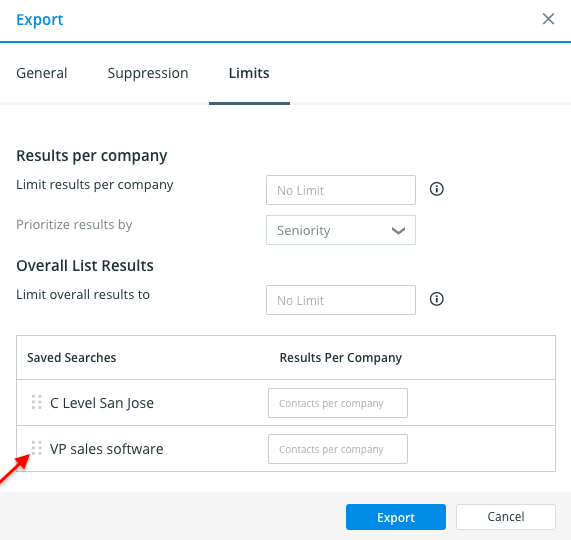 Check the box next to the saved searches you'd like to stack and select Export as Stacked Search in the top left corner. 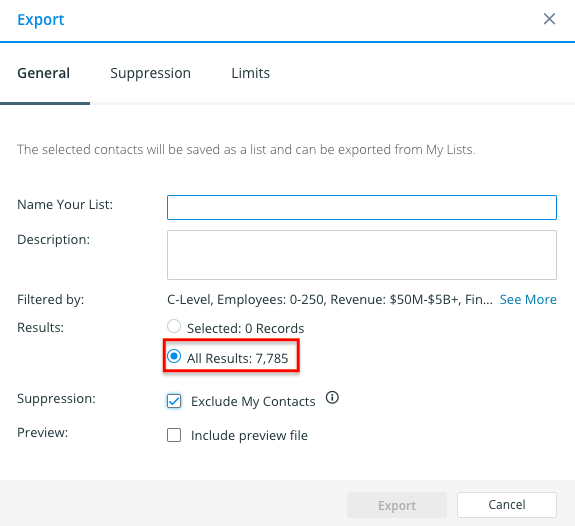 Within the export workflow, you'll be able to name your list, see the total number of results across the multiple saved searches, include a downloadable preview file, upload additional suppression lists to remove any duplicates, and place limits on the results. 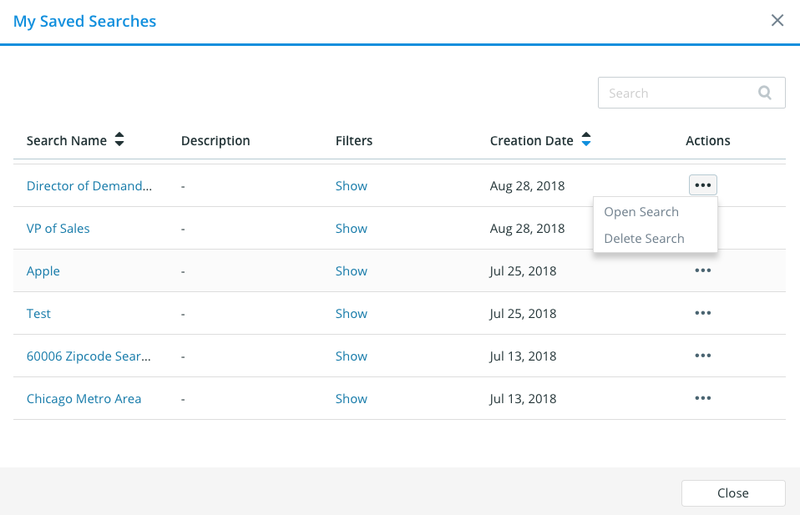 With Stacked Searches, you can also prioritize the results based on the saved search titles by the clicking on the search name and dragging them up or down within the list.